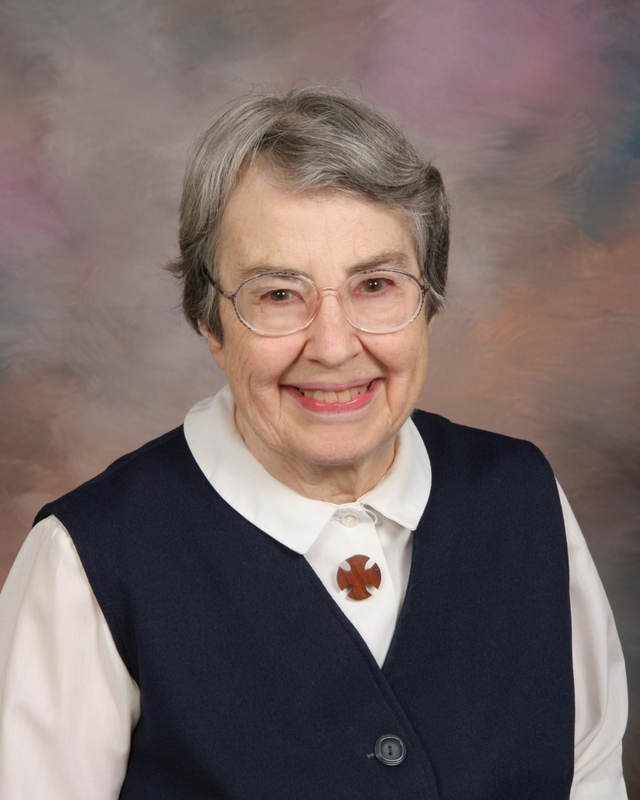 The Eucharist of Christian Burial will be celebrated at 10:30 a.m. on Friday, July 13, 2018, at the Sacred Heart Chapel, Saint Benedict’s Monastery, St. Joseph, for Sister Elaine (Nazaire) Gagne, who died, age 89, on July 7, 2018, at Saint Scholastica Convent, St. Cloud, Minn. Burial will be in the monastery cemetery. Friends may call at Saint Scholastica Convent on Thursday, July 12, at 1 p.m. for a prayer service, followed by visitation until 4:30 p.m. There will be a vigil prayer service at 7 p.m. at Saint Benedict’s Monastery; visitation will continue at 9 a.m. the following day until the time of the funeral. Fourth of the five children of Rosaire Nathaniel and Isabel Blanche (Boucher) Gagne, Elaine was was born on February 4, 1929, in Minneapolis, Minn. She attended St. Bridget and St. Ann Grade School in Minneapolis for grades one and two, William Penn Public School in Minneapolis for grades three to six and graduated from Patrick Henry Public High School in Minneapolis. She entered Saint Benedict’s Monastery September 10, 1951; was received into the novitiate June 18, 1952, as Sister Nazaire; made first monastic profession July 11, 1953, and perpetual monastic profession on July 11, 1956. She reverted to her baptismal name in 1982. Elaine received a B.A. degree in business education with minors in education and philosophy from the College of Saint Benedict, St. Joseph, Minn. She earned an M.S. degree in business education with a minor in library science at the University of North Dakota in Grand Forks, N.D. She also studied at the Minnesota School of Business in Minneapolis. Her business qualifications were put to use through service in the business offices of the St. Cloud Hospital and Saint Benedict’s Monastery. She served as an educator, teaching typing, shorthand and business at Cathedral High School, St. Cloud, and at Pierz Memorial High School, Pierz, Minn. Her gifts were also employed as receptionist at Stearns County Historical Museum and through assisting in Saint Benedict’s Monastery library and at the Art and Heritage Place. S. Elaine’s versatility saw her serve at Saint Scholastica and Saint Raphael’s Convents, St. Cloud, in the kitchen, in housekeeping and gardening, as a driver for the community and as a companion for sisters attending medical appointments. Elaine is survived by the sisters in her Benedictine community, relatives and friends. She was preceded in death by her parents, her brothers, Richard, Robert and Gerald, and by her sister, Mary Jane Fitzer. Please direct memorial gifts to the Sisters of the Order of Saint Benedict Retirement Fund.